You might think the idea of growing a tree in a garden planter is overwhelming. Where do you start, how does this work? All good questions that are easily answered. 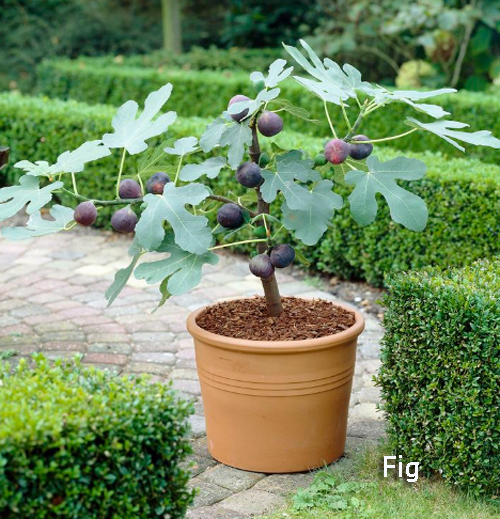 Growing a tree in a garden pot is not as difficult as it sounds. Container trees are an easy way to add size, and color to your garden area, patio or porch. Don't have a lot of room at your home or living in an apartment and want something besides the flowers you find at a local nursery center, then a potted tree is the solution for you. Of course the most important place to start is selecting the garden planter. Any planter no matter what it is made from must have a drain hole. Fill the base with pot filler so that the drain hole remains open and doesn't become clogged with soil. We recommend a light container since the tree itself will add the weight needed to keep it from blowing down. The lighter weight containers will make it possible to move it around if necessary. Make sure the planter is twice the volume of the tree's roots. Plant it at the same depth as the nursery pot it was growing in. Use a good potting mix made for trees. When it comes to watering, fertilizing and care of the tree refer to the tag that comes with tree from the nursery. We recommend a few types of trees. They maybe dwarf varieties or just ones that don't mind being potted and tend to do pretty well. 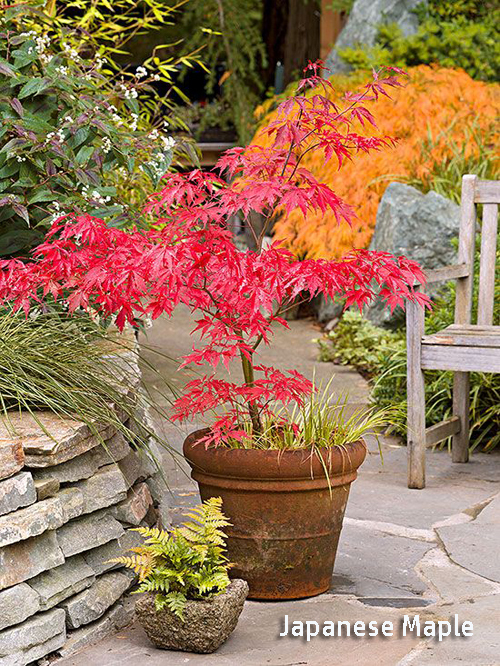 Japanese Maple - Because of their slow growth rate these do well in containers. With a smaller root system you can limit the size of the planter needed. Just don't place the pot in direct sunlight or they will burn. Dwarf Fig - These are adorable and if you and if you want it to produce fruit get a self-fertile one. They like the light so place that pot where it will get 7 hrs of full sunlight. Yellow leaves mean to much sun not over watering. 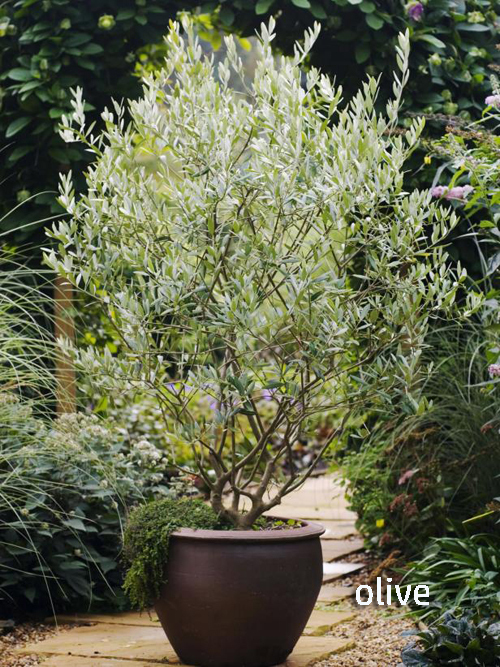 Olive Tree - These types of trees love pots and lots of sun. They have a long life so make sure you place the planter in a spot you really like. Once it grows you won't want to have to move it. If you live in cold then bring it indoors or at least the garage for protections. 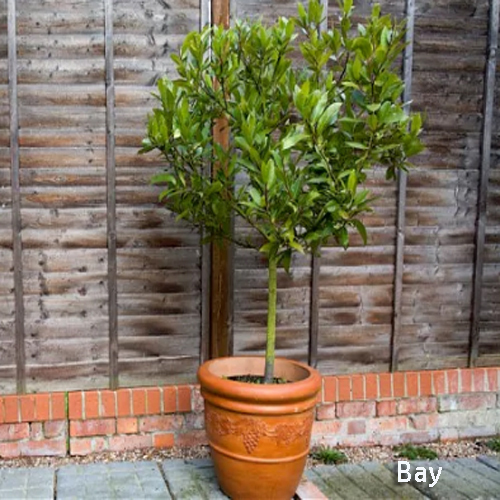 Bay Tree - These are really pretty with bright flowers, berries and lush leaves. They make great topiary trees and love being potted. Lets the pots soil dry out a bit between waterings. So, find a large pot that you truly love, take a trip to the nursery and get a nice healthy potted tree and come home and create a look you thought you could never have.